Phew... it's been a while since I write again in this Blog. 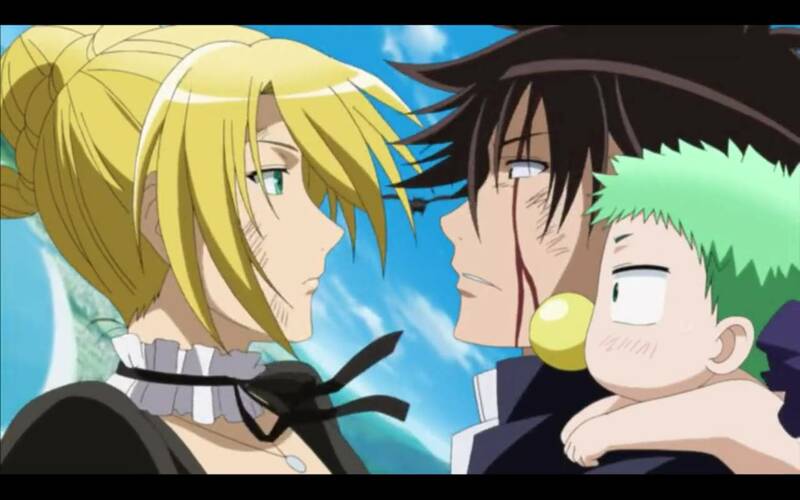 Now I come back after finishing the anime from one of my favorite series, it is Beelzebub. Yup, it's about the delinquent who became a parent of future demon lord :D .
genre Comedy, Fantasy, Action, Supernatural, Demon. Beelzebub is an anime series adapted from manga by Tamura Ryuuhei with same title. The anime story covered first 119 chapters of the manga. The production house who handle Beelzebub is Pierro+, the same who produce Naruto if I'm not mistaken (Beelzebub was published on Jump Magazine, who also has Naruto, Bleach, and other popular series). Well, because it has been finished from 6 years ago, maybe you will find many people opinion about how good or bad Beelzebub anime, especially compared to the original manga. As I read on many forums, it is likely most of fans especially who come from the manga are dissapointed. As for my personal opinion who also come from the manga, I think Bellzebub anime is good (no better, but it can be less). Despite it has different ending from the manga, I think that is because Beelzebub manga has different focus with the anime. While the manga are focused on action comedy, the anime was trying to become more of a familiy series for all ages group. This is proven by the anime has no blood and rather become to supernatural fantasy comedy rather than action comedy like in the manga. The “Saotome grab Hilda's ****” scene were also removed from the anime :D . Well I'm actually glad with that, that damn Saotome lend his dirty hand on beautiful Hilda! The soundtracks is good, where the opening and ending are very reflecting Beelzebub anime to become a family show rather than action comedy for teen and older just like I said. 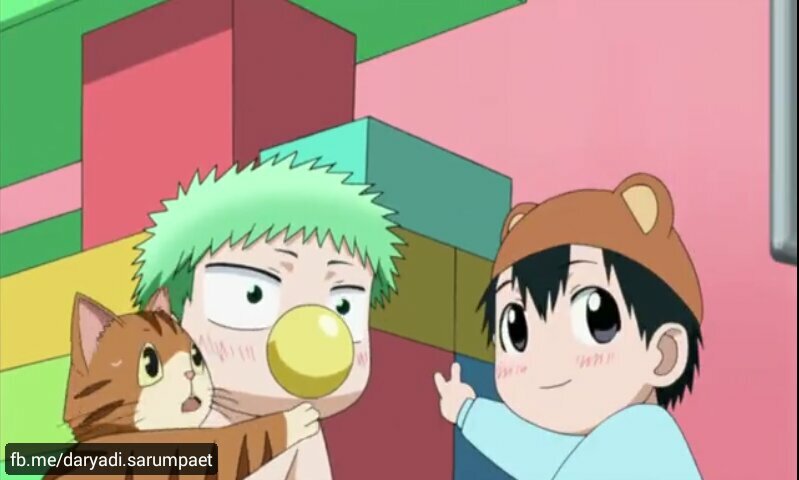 Baby Beel was very exploited as the main star in Beelzebub anime. Meanwhile the main star in the manga is Oga. And, it's so good to seen my favorite Kunieda tsundere coming to life ^/o\^ . 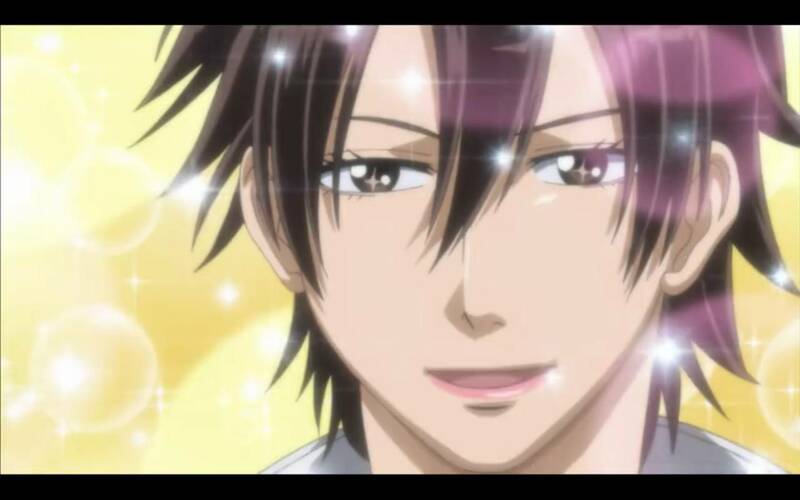 Kunieda, oh she is the best heroine on my anime and manga history <3 J. Also, I like the anime because it ships more of Oga x Kunieda xD . There is also a funny bug in a scene when Oga and Beel Vs the Three Behemoth Pillar (Naga, Graphael, and Hecadoth) where Hilda's mouth was forgotten to be drawn xD LOL. Poor Hilda, all of her beauty was just thrown away because the editor forget to drawn her mouth for a few second :v .
From Beelzebub fans discussion in many forums, it is likely the “fail” of Beelzebub anime story was caused the got axed by low rating. It is likely the most possible reason why it has different, full of filler, rushed ending. Just imagine, it has 60 episodes in total 1 year aired but it only left two episodes (58 and 59) for the “final battle” where the final boss defeats, Jabberwock is nothing more like a coackroach stepped by a boots. Probabably, and most likely, Beelzebub anime was getting an axe in the end. The final episode was tried to make up all the situations. It has full comedy, and it was like trying to say “let's finish this story with a light-hearted feeling”. And yes, for me the final episode kind like stated that Beelzebub anime is on different “dimension” with Beelzebub manga. As my opinion, if you are come from the manga and decide want to watch it, you better don't hope too high on Beelzebub anime. 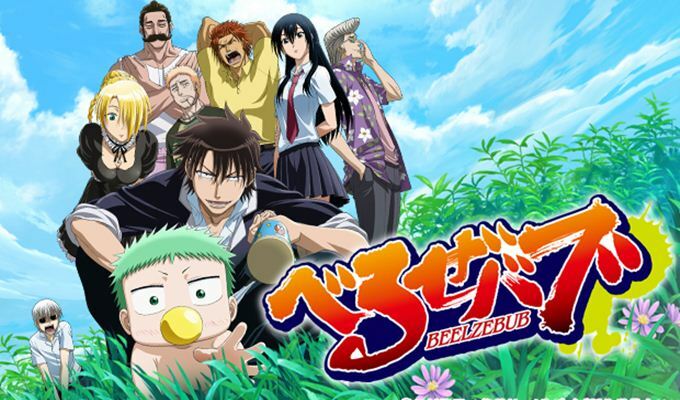 Just think that Beelzebub anime is something a way for you to see your favorite Baby Beel, Oga, Hilda, Furuichi, Kunieda, and more to come to life. 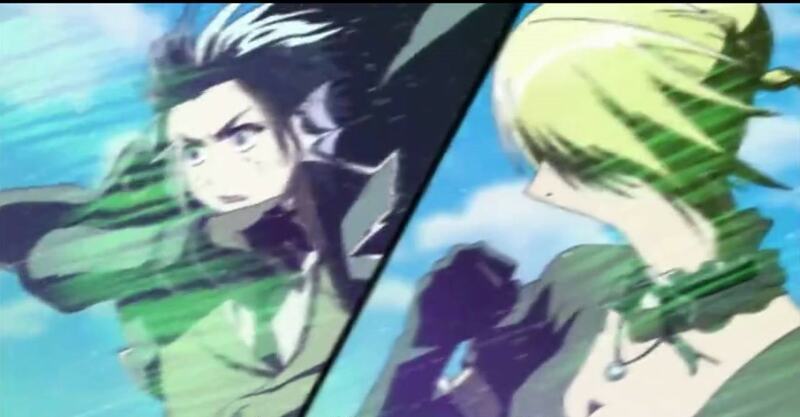 Comments (0) in "Beelzebub Anime Review"